The federal government only offers a limited amount of financial aid for college students each year. Whether your family is over the income limit or you’ve maxed out your federal loans and need more funding to pay for your educational expenses, then you might need to turn to private student loans for help. Maintaining your financial health is important, which is why many people are wary of the potential pitfalls of private student loans. However, they could be useful compared to your alternative options of finding outside funding for your education or having to transfer to another university to lower your tuition costs. 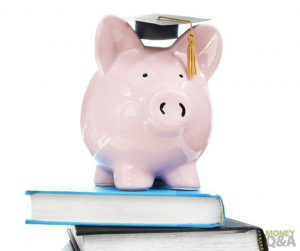 Should You Borrow Private Student Loans? Private student loans offer much larger loan packages than what you might qualify for from governmental sources of financial aid. You can typically borrow up to $21,000 in loans from the federal government (subsidized or unsubsidized, depending on your qualifications and type of degree you’re pursuing). You can put this money towards tuition, books, and other living expenses during college. While you can typically borrow much more from private student loan companies, be sure to take out only what you need to avoid having to repay six-figure student loan balances like you hear about in student loan horror stories. Some federal financial aid is based on need, which means you might not experience a credit check prior to loan distribution. However, private student loans are credit-based, so many companies will require a credit check to ensure you’ll be able to manage the loans and eventually pay them off. Research shows that people with lower than a 650 credit score may struggle to qualify for private loans, which means you’ll need a co-signer to be eligible for the loan you’re applying for. If your credit score is above the minimum standard but still not great, be sure to work on improving your credit score so you can get lower interest rates on any loans you may take out in the future to help pay for your education. Interest rates on private student loans are almost always higher than federal government student loans. Federal student loan interest rates currently range from 3.76% to 6.31%, and these are fixed rates that won’t change over time. However, private student loan interest rates are oftentimes variable rates that range from 9-12% (though Student Loan Hero notes that borrowers with excellent credit may qualify for loans with interest rates as little as 1.9% in rare cases). There are several websites that can help you compare student loan interest rates and terms to ensure you get the best deal possible on your private loans. While there are a few different loan forgiveness programs for federal student loans, private loans oftentimes don’t offer these options. Federal loans give borrowers the chance to reduce their payments to align with their incomes or eliminate their student loans altogether by working in public service programs for a set number of years. Private student loans may or may not offer co-signers relief in instances of the recipient’s inability to repay the loans (or death), and repayment options are typically limited to refinancing (when you achieve a higher credit score or land a higher-paying job). Private student loans are not backed by the Department of Education, and unlike subsidized federal loans, the government will not pay for interest accruals while you’re enrolled in college. This means that you’ll be responsible for both the principle amount and the interest that accrued during college and afterward. Don’t let a variable interest rate or confusing loan terms hinder your financial progress after completing your education. While it makes sense to go into debt to finish your education, doing research beforehand can save you thousands of dollars when you’re working and paying off those loans. Compared to their federal counterparts, private student loans do not seem to be the best option. However, if you’re able to increase your credit score and refinance for more favorable loan terms (a co-signer would help! ), then taking out private loans to finance the remaining costs of your education would be worth it. These are some great things to consider. For me, I would make sure I minimize the need for student loans by saving or choosing a cheaper college (or both!). The interest rate being higher on private loans would be a non-starter for me. Just a few percentage points can really skyrocket the overall cost of the loan.